Dr. Sacks’ new book, On the Move, was released last month to rave reviews, and made it onto the New York Times bestseller list! Thanks to Maria Popova at Brain Pickings for her thoughtful coverage of the book, including some vintage photos by the good doctor during his California days. She calls the book “a sublime memoir of love, lunacy, and a life well lived.” While Dr. Sacks is not doing any public events or interviews promoting the new book, he did sit down in front of the camera with filmmaker Ric Burns several months ago, discussing everything from his approach to writing to his early years at Oxford and even his experiences with amphetamines. Some short excerpts of those interviews are available on our YouTube channel, and a full-length documentary is in the works. Dr. Sacks was recently featured in Radiolab Live’s event “Tell-Tale Hearts.” He has been a member of the Radiolab family since the beginning, and Jad and Robert did a lovely tribute to him. You can hear the whole episode here (or jump to 31:00 for the segment on OS). 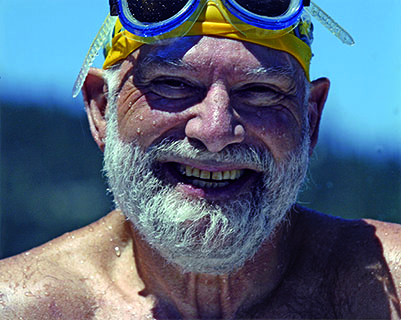 Dr. Sacks is busily writing and enjoying life. 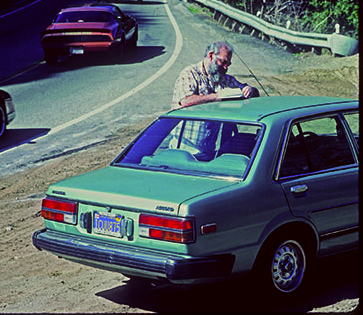 Last month he published articles about the autonomic nervous system in the New York Review of Books; about Spalding Gray and brain injury in the New Yorker; and about the a cleaner world in the New Yorker’s Talk of the Town.Yes, this man can write anywhere, even on the roof of someone else’s car!